Relax in a quiet atmosphere. Your therapist will be happy to get you a cup of tea or order you a snack, meal or cocktail while you relax. We adhere to the highest in sanitary and cleanliness standards and practices, including the use of pipe-less chairs and sterilized equipment. We never reuse instruments that cannot be thoroughly sterilized. If you believe in cleanliness and safety, think Beach Plum Spa. Transform your tired hands with this luxurious manicure. A feast for the senses; a perfect blend of purifying cranberry extracts to gently remove dead skin cells, followed by a massage with cranberry lotion. Stimulating and hydrating. We use CND brand, long wearing gel. Our research has shown it to be the best! If you are not using CND Shellac, there may be an additional charge for removal. Please let us know when you book your appointment since many are hard to remove. We are proud to offer SNS, Signature Nail Systems, the world’s leader in dipping systems. This system creates a natural looking nail that is strong, flexible and incredibly shiny. The application is odor free, UV and LED lamp free and boasts a zero dry time. It delivers exceptional beauty and ensures healthy nails. What sets this system apart is the addition of vitamins: A, E, D3 and B5, plus calcium, to nourish the growth of healthy nails. Colors can be applied to both real and artificial nails, and can last more than 14 days. Safe and pure ingredients with no parabens, no phthalates, no mineral oil, no synthetic sulfate, no triethanolamine, no gluten. Chrome Nails: the coolest new manicure trend! Mirrors, Hot Rods or Robots, if you like it mirrored and metallic you will love the hypnotic and addictive luster of Chrome Obsession Pigment. This service includes a full manicure. 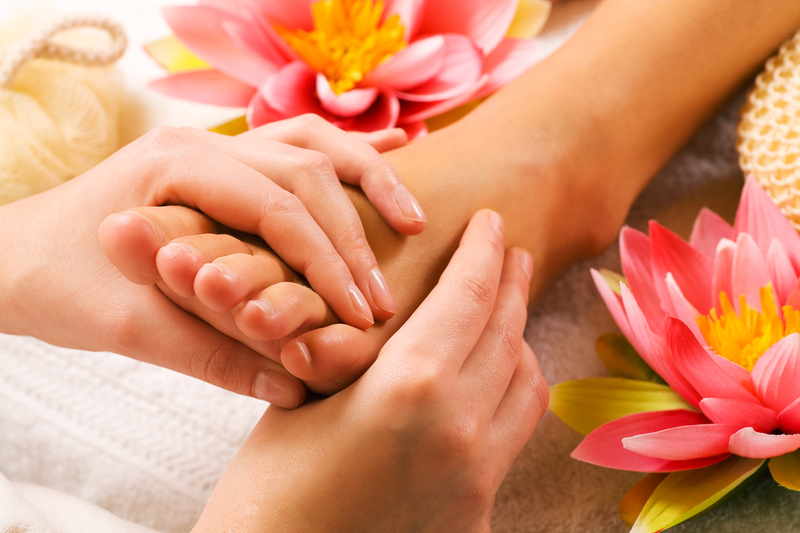 Relax your mind and spirit; take your feet on the ultimate journey with an aroma therapeutic foot ritual. Includes grooming and polishing. The best pedicure on Cape Cod! Relieve your tired, aching feet. They are groomed, soaked, exfoliated and massaged all in peppermint oils and lotions. Tension and stress simply melt away. Do you suffer from extremely dry, cracked and callused skin that just won’t go away? Our unique pedicure products were developed specifically by doctors to help cure the common conditions of the feet. Feet are transformed “from Woe to WOW!” Great for men as well as women. A feast for the senses… the perfect blend of products using cranberry for its antioxidant properties. Enjoy a refreshing Cosmo while you pamper your feet. Sit back for this deluxe service. A combination of infused organic oil and Himalayan healing salts in a wrap, rich with nutrients from honey. After your scrub, relax for 10 minutes to soften and moisturize your lower legs and feet followed by a massage. Grooming and polish included – you will walk on air. skin while soothing the senses.